What is the new Context API and what problem does it solve? React Context API is a feature used for sharing the global state and passing it all the way down through the components tree. This can be useful when we need to pass some props from the parent component A, down to the child component C which is a child of component B. In this example, we are sending value from the parent component A through its child component B, to be used only inside the child component C. Component B doesn’t care about the value prop, and it’s only passing down that prop to be used in component C.
This is something commonly known as Prop Drilling – passing props down from an upper level to a lower level in the components tree, while components in between don’t care about these props. As React’s official documentation suggests, you shouldn’t use Context just to avoid passing props a few levels down, but rather when you need to share the same data in many different components at multiple levels (e.g. theming, localization, authentication, etc.). We’ve first created Context using the createContext() method, which returns Provider and Consumer objects. We are passing userAuth to the Provider’s prop, value making it available to all of its children, so that AuthCtx’s Consumer instance below in the hierarchy tree can access (consume) it. We’ve implemented AuthenticateUser reusable Higher Order Component to abstract business logic. This HOC returns ComposedComponent passed as an argument that we’ve just wrapped into Context’s Provider component. Consumer subscribes to the context’s changes, and it uses the render props pattern to consume provided userAuth context. Whenever we need to display some data only if a user is logged in, we can now simply wrap that component with the AuthenticateUser higher-order component to provide the context, and check if user is authenticated inside the <AuthCtx.Consumer> component, just like we did for the NavBar. 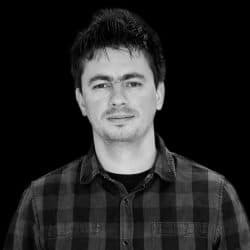 Software developer at codecentric Doboj since November 2016.